Looking for deeper insight on markets? In tonight’s Closer sent to Bespoke Institutional clients, as the dollar has rallied 1% over the past six days, we provide a look at how domestics have been performing versus international equities. Given this, we provide a list of some attractive names using our Stock Scores and International Revenues Database. 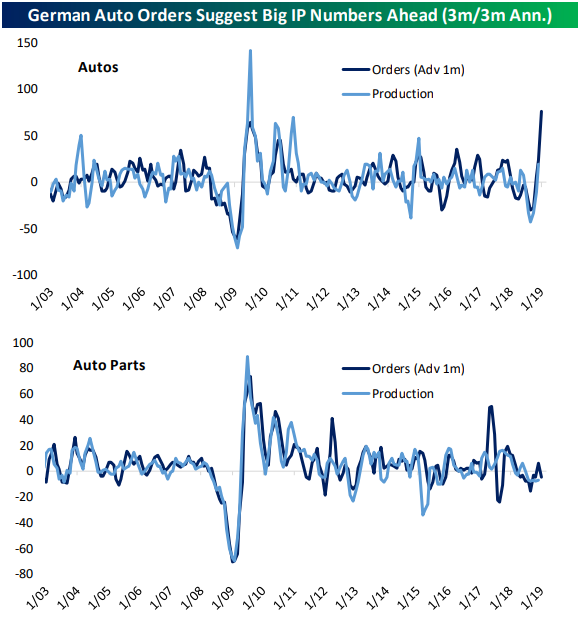 Next, we continue our discussion on the German auto industry using new order and production volumes. We cap off tonight’s Closer with the weekly look at fund flows which showed a slightly less positive picture.